So I received the email from the FCC this morning. The paper work went through and my license is now officially upgraded to general class. No more calling out “temp AG” at the end of my call sign. So looking forward to Field Day this Saturday with Chris/KG7NFF from HarborHam.com. Things have changed since getting my tech license just a year ago. 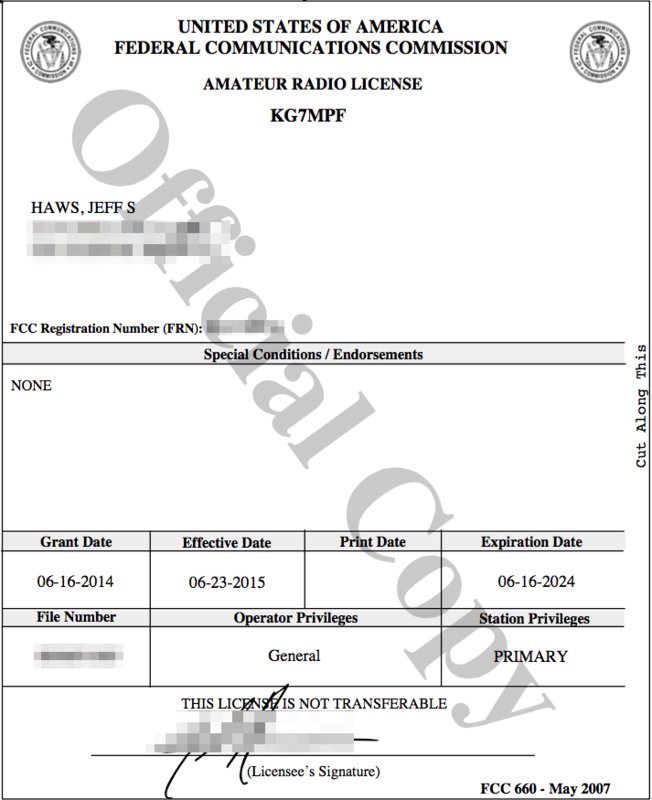 Instead of the FCC mailing me a copy of my license via the USPS, it’s now done via a PDF for me to print and use. That speeds things up a bit. This entry was posted in HAM. Bookmark the permalink.